The Colosseo R&D team is constantly improving and updating the Colosseo product family and have recently turned their focus to a system that is an important and key factor for referees dealing with controversial situations in the goalmouth – The Video Goal Judge. 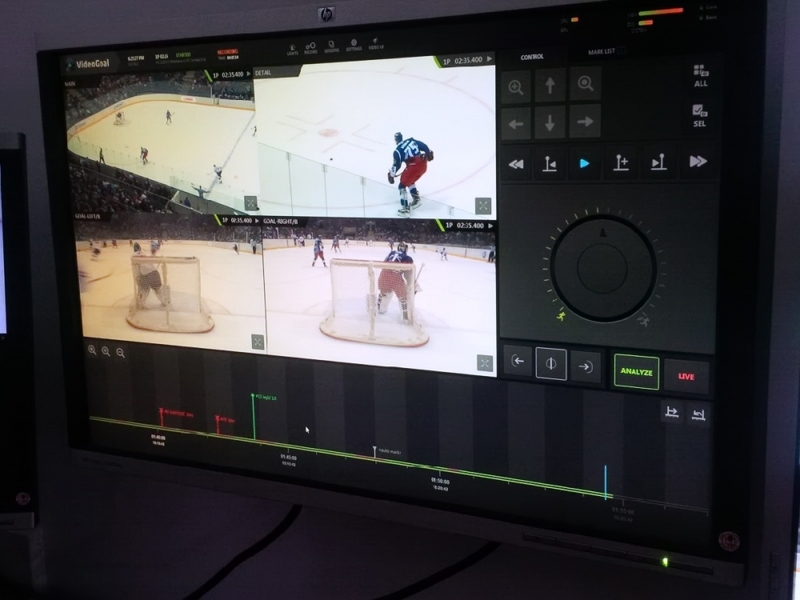 The latest generation Video Goal Judge comes with several important improvements over previous versions for even easier and more precise decision-making. 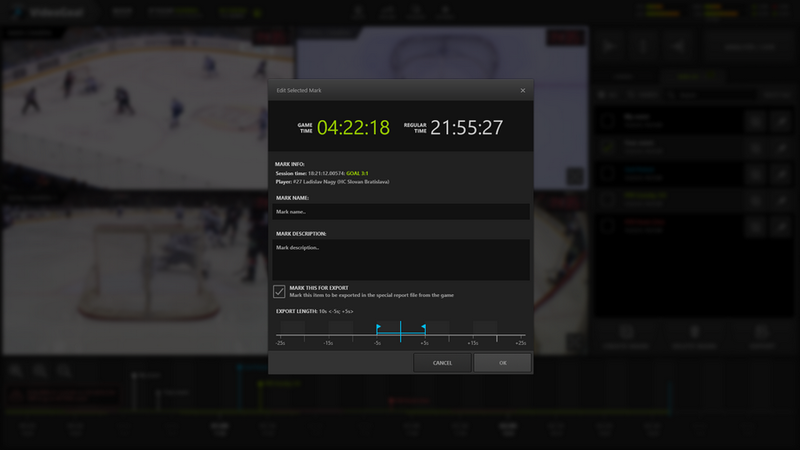 One of the main new features, which was added into the new Video Goal Judge, is an Interactive Timeline with timestamp creation, where all important or controversial moments during the game are marked and aligned with timekeeping and scoring. The system automatically creates moments based on information from timekeeping (e.g. goal, foul, end of period, etc.) or manually with the option to name, time-border and describe the moment together with additional meta-information from the Timer Console. 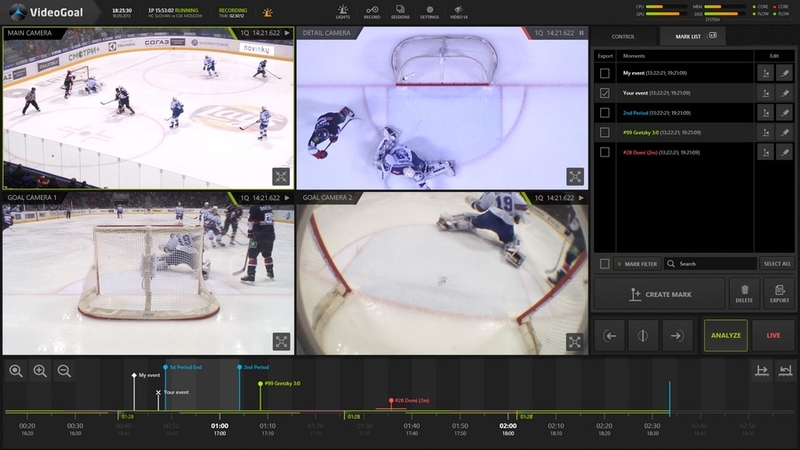 The operator can easily analyze controversial situations using frame-by-frame deep HD analysis with advanced zooming options in selected cameras, switch between analyzed moments on the timeline or even export them in required quality with up to DNxHD quality from all connected cameras. All analyzed moments from previous games are also stored on the hard drive. All connected displays to preview and analyze video can have custom-defined layouts and cameras that can be dynamically switched to the desired action location with the press of one button. It’s also worth noting that the system fully supports hardware JOG controllers which control the majority of the functionalities. Colosseo’s new Video Goal Judge is immediately available for purchase and customers with prepaid software assurance will receive the new version instantly.